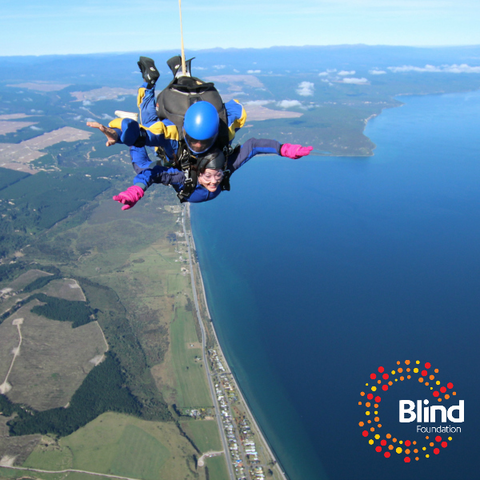 Not one to shy away from a challenge, the first person to sign up for the Blind Foundation Skydive is Kaye Kay-Smith from the Kapiti Coast. She’s taken on the challenge of raising at least $800 for the vital vision rehabilitation services that the Blind Foundation provides and in return, she will get a tandem skydive on Saturday 1 December. Kay-Smith, 59, can see light and dark but not much else and has been low vision from birth. 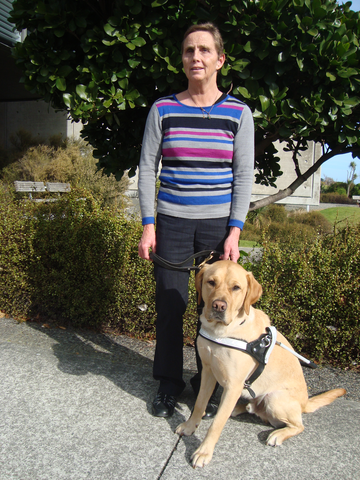 She has first-hand experience with the Blind Foundation services. Being low vision hasn’t stopped her putting her hand up to try new things that would challenge most Kiwis. Among her many sporting achievements, she represented New Zealand at the Paralympics in 1980. She won gold in the pentathlon at the games in Holland. More recently, she is about to tour Australia with the Blind Cricket New Zealand A team in November and is involved with many other sport clubs. Kaye is challenging others to jump out of their comfort zone and join her for this exciting new event. Register to take part, raise $800 for the Blind Foundation to qualify for a tandem skydive, then choose from five beautiful locations nationwide to make your jump count. Skydivers can choose from – Auckland, Taupō, Wellington, Christchurch and Queenstown. Register before Monday 8 October and get a special early-bird registration discount of $35 (usually $55). Call 0800 120 254 or email jump@blindfoundation.org.nz and the team will be happy to help.